As a long time programmer all the way from the 1980's you very quickly learn that to optimize code for performance you need to optimize the "inner loop". What it basically means is that to get a noticeable speed from your program you need to locate the part of the code that is run most frequently and try to find faster ways of doing those lines of code. Well, with regards to CO2 emissions, the same challenges could be raised. If you plan on becoming more environmentally friendly to your planet, consider analyzing what parts of your lifestyle generates the most CO2. Many people seem content and feel good about themselves when they swapped out their light bulbs for energy saving ones, not realizing that this is indeed a drop in the ocean compared to what they could save by changing other parts of their lives. CO2 emissions is naturally linked to energy use in general, although some are more polluting than others. I will look at one example of this. To the right I have "borrowed" a drawing from the book "Sustainable Energy without the hot air" by David JC MacKay, a great book about the subject you can read for free by clicking the title link there. Instead of trying to figure this out for yourself you might as well take a look at some of the analysis that has been done on average consumption, in this case David has used the typical UK consumer. The impact on CO2 emissions will naturally shift considerably for yourself based on your lifestyle and in what country you live in. For example in Norway, CO2 emissions from lights and heating is quite low since we get most of our electricity from hydro. If you live in a country with coal and gas plants for electricity, then the energy use David shows here is has a CO2 equivalent to care about. Generally, any direct fossil fuel consumption that can be moved to electrical power is a good move for the future as we go into using more renewable energy sources. If you heat your home from electrical panels you really should consider installing a heat exchanger as that is a more energy efficient way of heating. There is one thing our western lifestyle has come to enjoy, but cannot be shifted to electrical power easily, and that is flights. Davids flight sample here is one round trip to a faraway destination (like Egypt from UK), and as you see that one holiday trip is consuming almost more than all of his driving for a whole year (the car energy use is based on 50 km driving per day for a normal petrol car). So to get back to my "inner loop" case, if you travel a lot by airplane, then there is your "loop" you need to cut down on. Airplane manufacturers like to brag about how efficient they have become in fuel conserving (and hence CO2 emissions), but they are really just tiny optimizations in the 10% range. The only way to really cut down emissions is by flying less, or travel by train or boat instead. You know, its possible to figure out quite a lot by borrowing a book on Egypt in the library, or just type "egypt" in google search. After a day of reading you will most likely be more educated about that country than actually travelling and spending a week there. But I perfectly understand that you wont feel the heat or "emotions" you might get from sitting on top of a pyramid. Neither will you feel good about yourself as you brag to your friends on Facebook with a photo of yourself on the pyramids (btw you can easily make those shots with some Photoshop skills). The question I ask: Is that feeling more important than the future of your children on our planet? You really need to cut down on air travel to have any real effect on your carbon footprint on our planet. 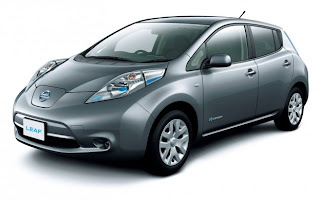 Another heated debate is electrical cars, people just love to hate them. I have no real idea why, but I guess its because traditionally electrical cars were very small at a time of big 4WDs in every driveway. Some people might have felt technology had moved backwards. I can assure you, driving e.g. the new Nissan Leaf feels very much like any other car you have but without the engine noise and exhaust. In addition, a typical modern electrical is 4 times more energy efficient compared to a petrol/diesel car. To look at David's numbers above, the new Mitsubishi i-Miev would reduce your energy consumption on driving to 10 kWh/d. So even if the electricity you charge your car with comes from a dirty coal plant, the total CO2 emission is way lower than that of a fossil fuel car. If you are in a country with lots of green energy then an electrical car is simply a fantastic investment to reduce CO2 emission. I know a lot of people say that range is a problem, that even the Nissan Leafs 150 km on a charge isnt enough. Well I would turn this around and ask you: Why do you need to travel so far? Do you enjoy sitting in a car? Wouldn't you rather read a book, watch a movie or tend your vegetable garden? The problem with our dependence on cheap fossil fuel is that it has basically turned society into a travelmania world where people choose to live an hours drive away from work and even buy a secondary home in the mountains (which justifies the 4WD as its needed those 4 visits to the cabin a year). All this travel really isn't making us happier, and generally a lot of time is wasted on it as well. When I got my first kids I had a motto: "we buy a baby stroller that fits our car instead of buying a new car to fit any huge monster of a stroller". The same goes with electrical cars, try to fit you lifestyle into lower energy consumption, instead of making a high energy consumption the primary basis for your choices. By choosing to travel less and more efficient you will actually improve on many areas of your life. Less CO2 emission, less time spent travelling, and more time for doing the things you like. The other big box in Davids energy use stack is "Stuff", and that basically means the energy needed into manufacturing and transporting the stuff to your home. The size of this box will vary greatly between people and our purchasing power, and is generally the first parts to be reduced when your economy isnt good. Still, for those with a lot of money, this is the place where you can most likely cut down considerably on energy use. Do you really need to swap out that TV every third year to a new model? Do you always need the latest model of the iGadget? Try to hold on to the things you buy for longer. And if you consider buying something, try buying used instead of new. Used stuff will only imply a transportation energy cost as the stuff has already been manufactured and it will reduce the amount of new stuff being created all the time. 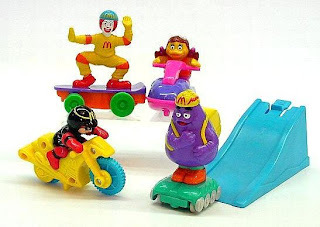 There is also a very big energy use into completely useless things like all the McDonalds toys and a small things that will be tossed away very soon. Just stop buying that mass produced crap, but instead try to buy locally produced handmade stuff, that will have more meaning by far and support a needed growing area of local produce. Generally speaking, people just need to use the things they have for longer periods of time before they are tossed out, and even then consider renovating it or fixing it yourself. There are a lot of things you can do yourself to conserve and preserve instead of buying new all the time. To sum it all up, there are many ways to conserve energy, but most likely the most important "inner loop" one with most effect on CO2 emission is to fly less. If you are down to one flight a year, then you can consider switching to an electrical car, install a heat exchanger, insulate your home or even just paint that old shelf in another color instead of buying a new one.